But, what is causal language? I created a handy infographic on causal language below. Use this the next time you are working on a non-experimental paper. If you get a “stop – do not use causal language” answer, then avoid the list of causal words when you are writing about the associations between your variables. Posted in Research Methods	Tagged causal analysis, causal language, causal methods, causal words, effects, graduate students, heterogeneity, journals, longitudinal data, publishing, rejection	Bookmark the permalink. Great analysis! I teach a free course to Chinese grad students, visiting scholars, and postdocs about scientific writing. 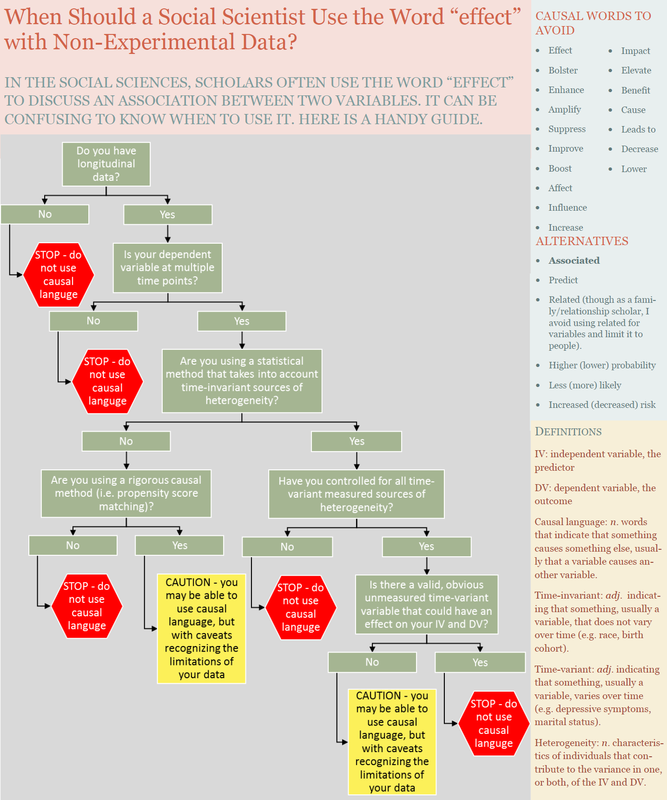 May I have permission to modify your infographic to be more generalized to sciences other than the social sciences?